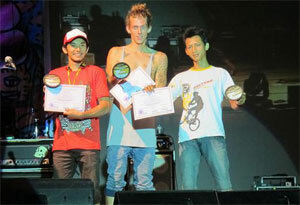 While we were watching the Rebeljam last weekend Dubs won a contest in Indonesia. He is a rupiah millionaire now! The price money for the first place was 5,000,000 IDR. Congratulations!